A composer composes, making music with his own labour, using his own thoughts and heart and talent. The part of he or she gives away becomes property, which a publisher takes care of. This session explores the pertinent questions related to music publishing in the twenty-first century, exploring its importance for upholding composers’ rights in an increasingly precarious marketplace. Reijo Kekkonen studied violin, music education, composition and choral conducting the Sibelius Academy. He has been a musician in various orchestras and bands and also a professional singer in different choirs and ensembles. 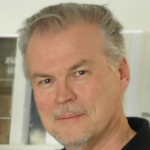 He’s currently the director of the Finnish Choral Association SuLaSol’s publishing house. Reijo has also been freelance editor for several publishing houses in Finland, member of the board of the Finnish Music Publisher’s Association and of Musica International.